The Tim Holtz Tags of Summer Challenge continues over at Scraptivity, and its my turn on Day 9. 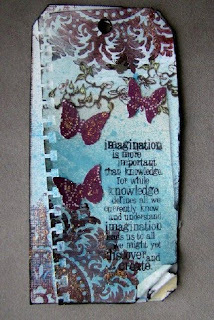 I used Tim Holtz's Day 12 from 2009 and was inspired to create the tag on the left. 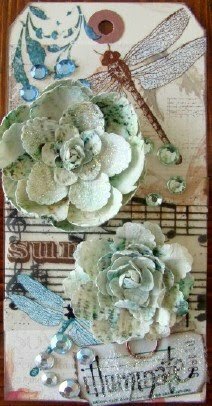 I used many of the same type of elements just choosing them to represent summer instead. And here is one more just for fun!